The company had been engaged in "a competitive tender process" with other European cities over the last year. The deal also includes what the Web Summit describes as a "€3bn buyout clause", should another city want to tempt the event away from Lisbon. The conference venue in Lisbon will also double in size to facilitate the Web Summit's expansion, according to the Portuguese government. 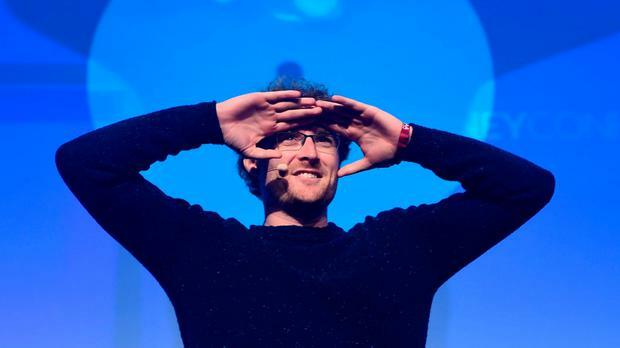 Web Summit founder Paddy Cosgrave said the deal was the result of a lot of hard work. "Without a larger venue this would not be possible," he said. "Even until a few months ago, we never believed it would be possible. More than 20 cities bid for Web Summit. "We were flattered by the offers of cities as diverse as London and Valencia, and greatly appreciate the time of prime ministers, presidents and mayors from across Europe. "Our partnership with Portugal gives certainty to our many attendees from over 170 countries around the world, and our thousands of partners and exhibitors. "It also gives certainty to our host country, and to our team of nearly 200 in Dublin, and in our other offices around the world. "Together we're looking forward to doing incredible things." Lisbon's mayor, Fernando Medina said: "This 10 year agreement with Web Summit will decisively make Lisboa a key capital for innovation, entrepreneurship and talent. "I am confident the next few years will bring a sharp raise in IT investment and employment in Lisboa. "We are thrilled to continue to write this story together with Web Summit." Meanwhile, Mr Cosgrave has stepped up attacks on legal structures used by property holding companies and so-called vulture funds. Mr Cosgrave has also started to turn his hand to investing, contributing to a €1m fundraising round into Advisable.com, a startup co-founded by a former Web Summit staff member, Peter O'Malley. Earlier this year, US corporate filings suggested that Mr Cosgrave was seeking to build a more formal investment vehicle by raising $50m in venture capital. "Under SEC regulations I can't comment on that at this time," he said earlier this summer. The fund, to be called the "Amaranthine Fund", was to be the product of Amaranthine Partners, a San Francisco company set up to "connect, support and invest in the world's top technologists through the founders platform".